The ABB Formula E championship made its first visit to the Italian capital of Rome, in a race which saw Britain’s Sam Bird claim his second victory of the season and close the championship gap to just 18 points. We now take a look at the facts and figures behind the days racing in Rome. – Andre Lotterer ended the Qualifying Groups in the same fashion as in Santiago (another new circuit this season), on top, and in doing so became the first driver to top two Qualifying Groups this season. With Lotterer getting into Super Pole and championship leader Vergne failing to, the German outqualified his team mate for the first time this season. This leaves NIO’s Oliver Turvey as the only driver with a perfect 7-0 qualifying record this season. – Lap 1 of the Rome ePrix saw the 1500th lap in Formula E history, coming in the 40th Formula E race. Rome race winner, Sam Bird, also won the race which saw the 500th lap, the Season 2 Buenos Aires ePrix. We will later delve into the numbers behind the leaders of these 1500 laps. – Andre Lotter has finished in the top 10 twice this season, and both times have been podium finishes (a second place in Santiago and a third place this weekend in Rome). – Since this season’s Marrakesh ePrix, five races ago, we have seen the same 20 drivers on the ABB Formula E grid; the first time the series has gone so long without a driver change (beating the previous record of four races from Season 1). – After Sebastien Buemi passed the landmark in Mexico City, Lucas di Grassi finally scored his 500th point after taking his second podium of the season. After a carbon fibre crunching first lap, with various car to car contact, Venturi’s Maro Engel was able to gain from a dive down the inside of the first corner to move himself from 14th on the grid to just outside the top ten, by the end of Lap 1. Portugal’s Antonio Felix da Costa was able to maximise from a slow starting d’Ambrsosio to get passed both Dragon’s and Mortara by the end of Lap 1. However, on the other end of the spectrum, Tom Blomqvist got boxed behind Nick Heidfeld at Turn 1, and had nowhere to go, costing him three positions. This put him just one place ahead of Luca Filippi, who he made contact with on the following lap compromising the whole of his first stint and only allowing him to finish 15th. For the second race in a row a Dragon driver (in Rome, d’Ambrosio) came from 18th on he grid to finish in the top eight, making him the race’s biggest mover. The Belgian driver was able to pit under the first Full Course Yellow and come out in 11th and used his extra power to claim his best result since Hong Kong Season 3 of seventh place. Having to overcome a ten second penalty, Antonio Felix da Costa utilised an early pit stop to come through the field to finish just one place outside the points, and for a record eighth time. In what could have easily been his third win of the season, Felix Rosenqvist retired from the lead for the second time this season. The Swede has now lost a possible 50 points from leading positions and being only 37 points behind championship leader Jean-Eric Vergne, what could the championship be looking like if it wasn’t for these issues. After a late charge, Daniel Abt claimed the one bonus point for fastest lap, propelling him back into the top five in the championship. The Audi Sport ABT Schaeffler driver claimed the fastest lap by almost six tenths, the largest margin since the last race of Season 3. As has been a feature of the last few races, the Dragon drivers used a later pit stop and picked up the fourth and seventh fastest laps respectively. 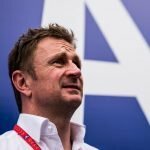 Dragon are the only team, with Audi, to have picked up two fastest laps this season, showing that there is pace in the car, which perhaps the race results have not been showing. 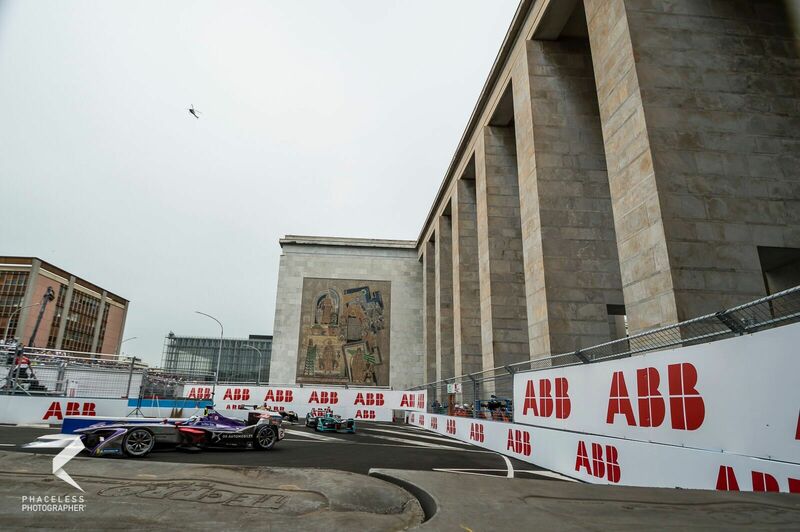 As previously mentioned the ABB Formula E Championship completed its 1500th lap on the opening lap of the Rome ePrix. Over the last 40 races, a total of 22 drivers have led laps, including Mitch Evans who led his first ever lap in the series during the pit stops in Rome. With Evans, Jaguar also became the first team to have both its drivers lead a lap this season; followed a lap later by Dragon, when d’Ambrosio took the lead. We take a look at the numbers behind the 12 drivers with the most laps led. Season 2 champion, Sebastien Buemi, has led the most laps out of any driver in Formula E history, having led 26% of all laps, and almost double any other driver. Buemi also holds various other laps led records, including the most consecutive laps led (71) and being the only driver to have led every lap of an ePrix twice, in both cases for Buemi this occurred in Monaco. Even though he has competed in only 19 ePrixs (the second least of the drivers on this list) and half the amount of all drivers in the top eight of this list, Felix Rosenqvist sits fourth in terms of laps led, and only behind the three drivers with the most race wins. 77% of the laps that Vergne has ever led have come in the last eight races, so if he keeps up his championship form, he could easily be challenging (along with Bird and Rosenqvist) di Grassi for the second most laps led. 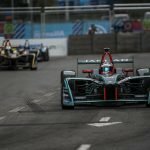 Edoardo Mortara, who only made his Formula E debut in December, currently has 40 laps led thanks to his best ePrix to date in Hong Kong, where was he was only three laps from victory, before spinning and handing the lead to Daniel Abt, who sits just one place above him with 66 laps led.